Researchers from Cedars-Sinai Heart Institute have discovered the heart stem cell components responsible for regenerating and repairing the heart. Stem cells are are cells that can transform itself into a higher biological component such as muscle, tissue or an organ. There are different type of stem cells that are exclusive to a biological system. Brain stem cells are responsible for the brain, blood stem cells for the blood, and heart stem cells for the heart. 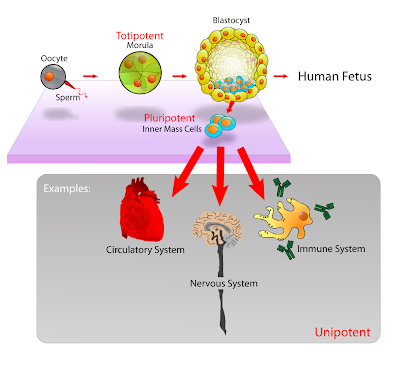 There are also pluripotent stem cells that can change into any type of cell or tissue in the body. Their research show that cell membranes called exosomes are an important factor in promoting the growth of new heart tissue and also develops healthy blood vessels. Although the study is still in its early stages, it is a promising discovery that can aid millions of heart patients towards a better quality of life. Investigators at the Cedars-Sinai Heart Institute – whose previous research showed that cardiac stem cell therapy reduces scarring and regenerates healthy tissue after a heart attack in humans – have identified components of those stem cells responsible for the beneficial effects. "Exosomes were first described in the mid-1980s, but we only now are beginning to appreciate their potential as therapeutic agents. We have found that exosomes and the cargo they contain are crucial mediators of stem cell-based heart regeneration, and we believe this might lead to an even more refined therapy using the 'active ingredient' instead of the entire stem cell," said Eduardo Marbán, MD, PhD, director of the Cedars-Sinai Heart Institute and a pioneer in developing investigational cardiac stem cell treatments.